Zippy Quick B & B Pickles | What Smells So Good? Happy new year everyone! While I'm sure some of you are still recovering from the festivities last night (I didn't even party and I slept for 10 hours! ), the new year is a time for opportunity and new experiences. What better way to embrace the first week of the year than with a brand-new project? Pickles are definitely one of my favourite things in the world - ever since I was old enough to sit up in a high chair, you'd find me "gumming" on a big ol' kosher dill when my family went to one of the local pubs. I'm definitely on the side of the "sour" or "spicy" pickled goods though - you won't find me loading up a cocktail plate with the syrupy-sweet classic bread and butters when there's tons of sour pickled cocktail onions and gherkins to choose from! That said, a good portion of the family adore the sweet "chips", so back when our garden was overflowing with cucumbers I knew I would make them a little something special to top their burgers through the Summer. 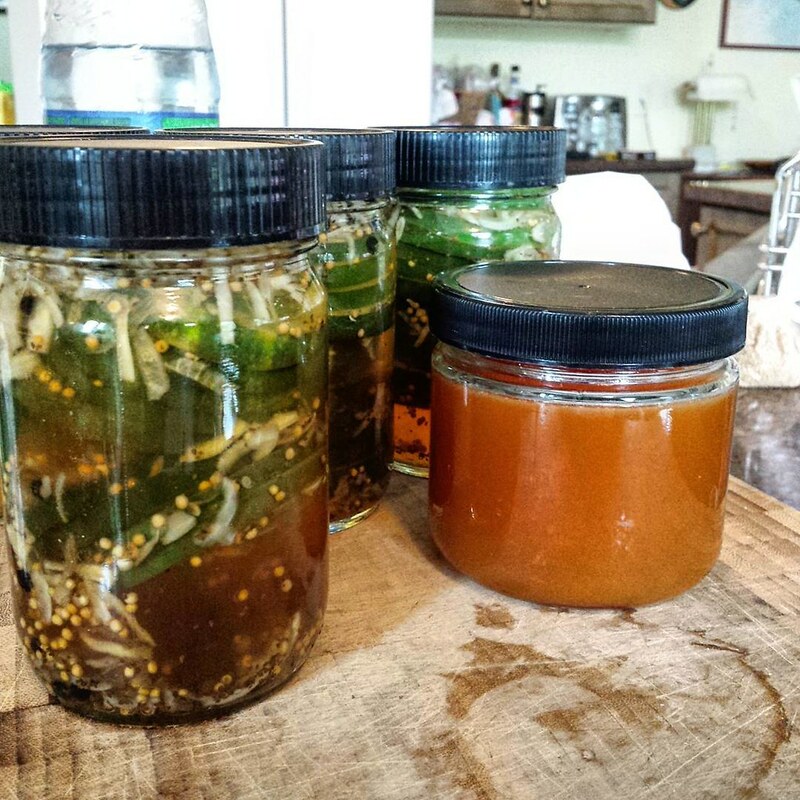 The first batch was more successful than I ever imagined - jars kept coming back to me with little notes asking for more, and I've been making them almost constantly since. My secret is taking the classic "sweet" pickle a little over to the "savoury" and even "exotic" side - onions, mustard seed, Tellicherry pepper and even a pinch of Sichuan peppercorns make them addictively unique and definitely worthy of even the most high-end sandwich. Thankfully, the whole process is dead-simple, not to mention fast... to get into the jars. However, I implore you - wait that week before cracking into them. Trust me. That pickling time in the fridge is crucial - otherwise you're just eating damp cucumbers, and who wants that? Plus, being pickles, they last (almost) forever in the fridge, so even if you're not constantly pickling, you can have a nibble or three of preserved Summer anytime you like! Pack cucumber slices into jars, set aside. Bring remaining ingredients, except Pickle Crisp®, to a boil. Pour brine over cucumbers in the jars, add Pickle Crisp® and screw on lids. Store in the fridge at least 1 week before enjoying.